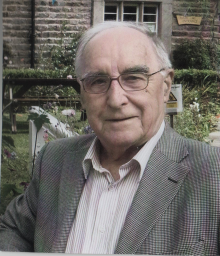 W.R. ‘Bill’ Mitchell was editor of The Dalesman magazine for over thirty years and has written more than 200 books on local history, such as the Settle–Carlisle Railway, and biographies of well-known Dales personalities including James Herriot, Alfred Wainwright, Hannah Hauxwell and Kit Calvert. Bill has also collected over 600 taped interviews with Dales folk over the last 40 years—an invaluable archive of Yorkshire dialect and local and family history. These recordings provide a fascinating insight into life in the Dales, through the stories of local Dales folk told in their own words and dialects. In January 2012 Settle Stories received a £50,000 Heritage Lottery Fund grant for the W.R. Mitchell Pilot Project to digitise a selection of Bill’s collection of cassette tapes. This will enable a new generation not only to read history but to listen to it on a website. These stories captured on tape range from the local gentry, such as the Dawsons of the Folly in Settle and the Yorkes of Halton Place, to ordinary folk scraping a living against the odds in remote Dales communities. They also represent a unique archive of the different Dales accents and dialects used over forty years ago; such voices are not often heard in the Dales today. Without the work of W.R. Mitchell, many of these stories would have been lost to us. In 2012, Bill Mitchell asked us at Settle Stories if we could help more people to hear these stories and memories, told in the authentic voices of people from Yorkshire, Cumbria and Lancashire. We secured funding to run the W.R. Mitchell Archive Pilot Project and digitised a small sample of 16 tapes and catalogued and archived them.